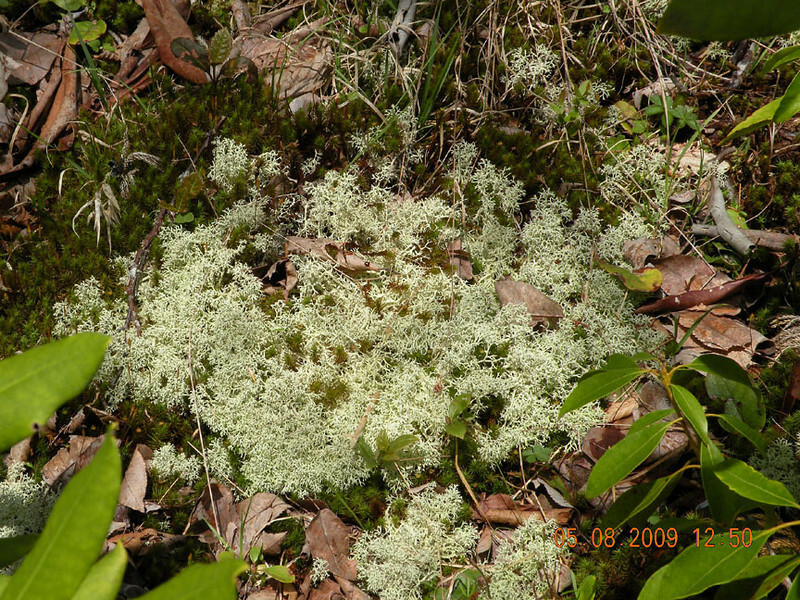 Reindeer Lichen is found in great quantities here in the Red Spruce Bog. It grows in areas of tundra and is an important food for caribou up north. There is a zone of tundra here as well as one more taiga like.